Did you know that light is a word every one of us uses at least once a day? It is the phenomenon without which our life will be hardly possible. Thanks to it we experience the luxury and moreover we are able to see our environment. Our life by far has not already been the same as when we had to rely on light rays of Sun. By only one movement we have the power to light up our homes even during the darkest nights. It is not just concerning the light itself we are talking about inducing pleasant atmosphere by its design processing and perfect functionality putting the finishing touch to warmth of your homes. However, it is not easy to furnish flat or house by lights and lamps so that lighting has the right intensity and at the same time it creates enjoyable atmosphere. Excessively illuminated interior has no homelike effect - when there is little light your eyes suffer. It seems the most favourable is the „gold mean“. 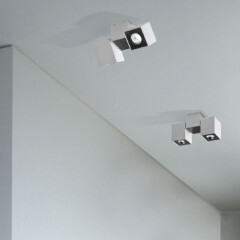 Illumination fulfils free functions in your interiors. General illumination is of course essential for our orientation in premises. Functional lamps provide additional light for such activities as cooking, reading or writing. 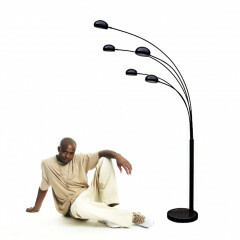 Decorative lighting by means of decorative lamps has as its task to create enjoyable atmosphere. Recently it has managed to join these functions which led to creation of great design lights and lamps with an emphasis to their functionality. Excellent examples are AZzardo lights and lamps which in addition to stunning and unique design dispose of functionality and high quality of used material. When looking at our lights we will get to the question of trends but neither here you will be disappointed by AZzardo lamps that besides functionality perfectly transform and complete character and design of every interior. 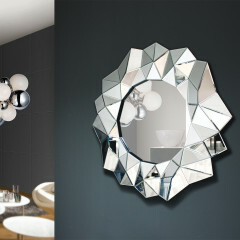 Here we are with AZZARDO® offer – luxury lights and modern lamps from world-known designers.